Does Rear-Wheel Steering Improve The 740 HP Lamborghini Aventador S? More horsepower may also have something to do with our perception of it being better than the old Aventador. As new and striking as it still looks, the Lamborghini Aventador is about to turn six years old, which, given the usual lifespan of any given model of car, means that it’s time to start thinking about a replacement. However the Aventador, like any other Lamborghini, is no normal car and, as we’ve just discovered thanks to comments by Lamborghini CEO Stefano Domenicali, the flagship supercar is here to stay for at least another five or six years before it's replaced by another V12 Lambo. Fortunately, the automaker recently determined that a refresh was in order. 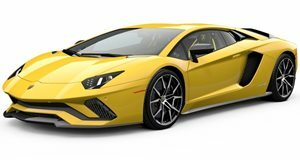 It was at the tail end of 2016 that Lamborghini introduced the Aventador S, a 740 horsepower version of its supercar upgraded with a new and more aerodynamic design as well as a revised suspension system to better help the driver control the added power. Now that the first Aventador S models are being churned out at the factory, it’s time to see how the upgrades add up on the track. While the styling changes are subtle, the aerodynamic gain is an increase in downforce by 130 percent over the outgoing coupe. A triple tipped exhaust rounds out the engine note for a more full bodied roar, which is backed up by improved track performance thanks to a four-wheel steering system. This tightens up low speed corners and stabilizes the car at white knuckle velocities. Unfortunately, the one downside from the old Aventador remains: its seven-speed single clutch transmission. While it’s been revised for the Aventador S, Lamborghini could use a new gearbox to refine the experience.